Wintro is a highly creative, modern, visually stunning and Bootstrap responsive multipurpose corporate and portfolio Joomla template with 17+ ready home page demos, well documented, vibrant and fully responsive multi-purpose website template for corporate, agencies, freelancers, individuals as well as any type of businesses to showcase their company history, services, work portfolio and projects, team, blog in the most creative and professional looking manner using more than 18+ ready home page demos and many pages. 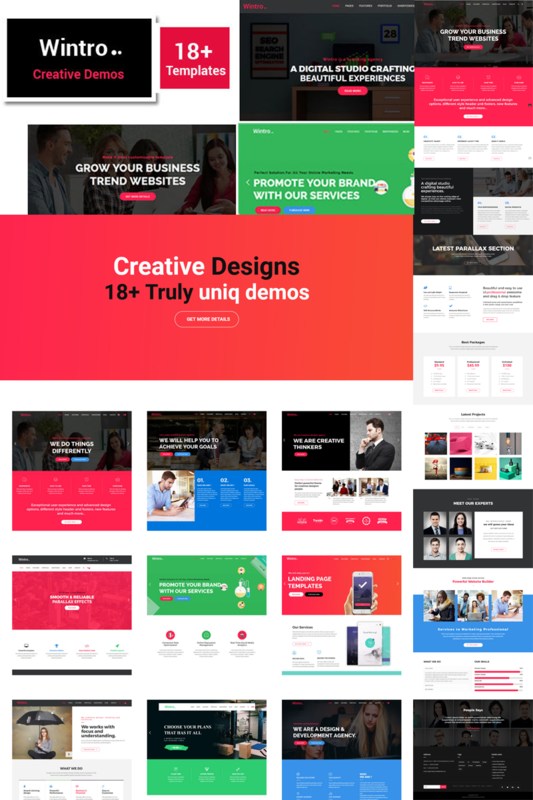 If you are a lover of creative designs and would like to build a very unique and professional website quickly then your search should end at Wintro. You can build your company website easily with the Drag and Drop Sp Page Builder Pro.